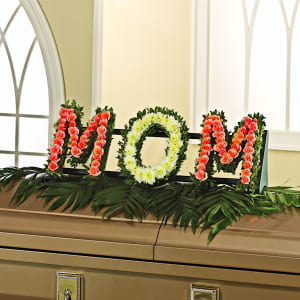 A tribute to a wonderful mother who will be greatly missed. 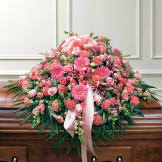 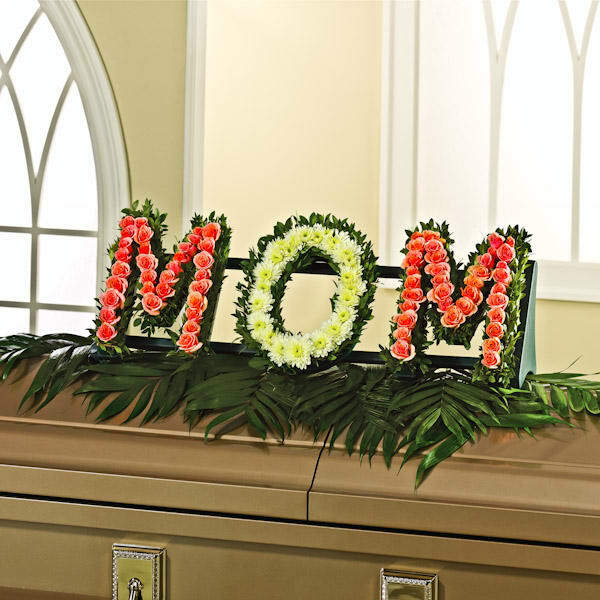 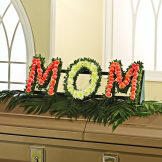 • Arrangement designed with roses, mums, myrtle and jade forming the word "MOM" to celebrate her everlasting love. 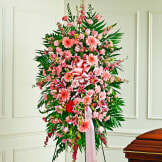 • Measures 12"H x 32"W x 6"D.